Blimey, not Damian Wilson again? 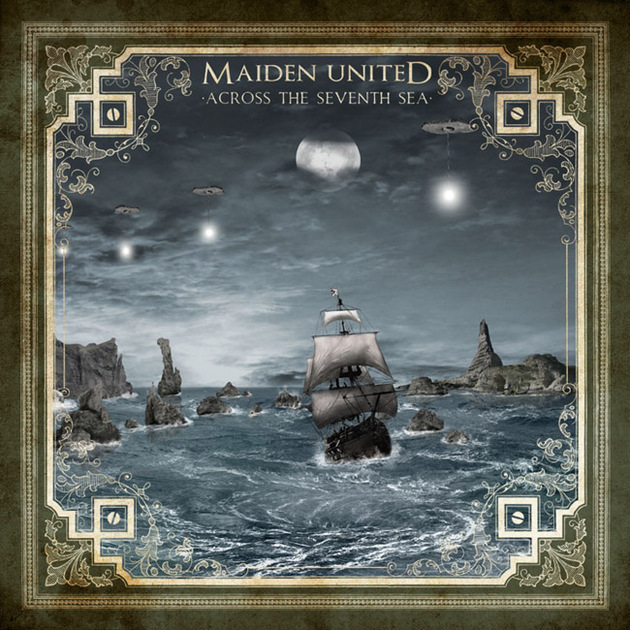 'Fraid so, this time singing with Maiden United on their second acoustic collection of Iron Maiden songs called Across The Seventh Sea. Unlike their first album Mind the Acoustic Pieces, an acoustic reinterpretation of the 1983 Iron Maiden album Piece of Mind (largely great but did we really need to hear Quest For Fire again? ), Across The Seventh Sea is a mix of songs from different Iron Maiden albums from Killers through to Seventh Son of a Seventh Son and all the better for that. Some of the interpretations are exceptionally good and demonstrate just how melodic some of Maiden's material is in the first place. The Evil That Men Do and (rather surprisingly) 22 Acicia Avenue are excellent examples of this. I'm looking forward to seeing what Maiden United come up with next and hope they will tackle some of Iron Maiden's more recent output which should be something special if they do.